How Much Europe Gives Us and How Much Does It Cost Us? "What does the EU give us? ", "We and they", "So what? ", "Who are we sending in the European Parliament and why?". Those were some of the questions discussed during the first debate in the framework of the MoveBG's European agenda, which euinside is a strategic partner of (the entire debate can be watched in Bulgarian language in the attached video file). The debate took place on March 25th - the date when, in 1957, the Rome Treaty was signed laying the foundations of today's European Union - in MoveBG's house with the participation of two professors in EU law in the Sofia University - Dr Yulia Zaharieva and Dr Hristo Hristev - and Borislav Sandov, leader of the Greens political party who is also a civic activist. The debates from the MoveBG's cycle are the first attempt to talk about the EU and Bulgaria as part of it since the euphoria from the first years after the country's accession on January 1st, 2007. The topic was "Europe of citizens or what does Europe give to the democratic process?". Throughout the entire accession process the prevailing focus of the discourse about the EU was that the biggest benefit for Bulgaria's membership would be the EU funds. This was the approach which is still valid today. Much less attention was paid to the unfinished reforms which continue not only to be incomplete, but some have not even been launched. According to Dr Zaharieva, the most frequent phrase is "What does the EU give us?" and even in formal statements can frequently be heard "We pay this much as a contribution to the EU budget and we get so little". "We continue to talk about 'us and them'", she said and stated that there no longer is 'us and them' because we are the EU. She also said that it was high time to overcome the expression "The EU gives us" because the EU is an opportunity, an instrument and is not at all a solution to all our problems. Dr Hristev's view, a professor in EU law in the Sofia University, it should be remembered what changed after 2007. "I call on us to remember that period when we were unable to travel that easy, where in a not very decent, not to say sometimes humiliating, way we waited to get a visa and proved in various ways that we would not escape in another country where we were unwanted", he said and recalled the huge costs (in terms of money, time and nerves) to realise a trip to countries which we today call 'old member states'. Today, we are able to go for a vacation wherever we want in the EU only because we have a better offer or because we do not like the excessive construction along the Black Sea cost. This, by the way, was the focus in Angela Merkel's European speech in London in the end of February. During the one hour long debate, although only briefly, was touched the issue of the 'invasion' of Bulgarians and Romanians in the old member states. An issue which is central in the debate about a reform of the EU in Germany and UK at the moment. According to Dr Hristev, the possibility the Bulgarians to study and work in other member states has a very valuable economic and social impact in Bulgaria. "This changes the social environment in Bulgaria because of the intensive communication links, because of the accumulation of another type of civic culture, culture of work if you like. The possibility a significant part of the Bulgarian citizens to enter much closer links with the host society, with the accumulated democratic culture, as an order of relations in the more developed part of the continent, in the long term will lead to a significant social change in Bulgaria itself and we will not be forced to explain why it is unacceptable key figures from the organised crime to be appointed at key positions and we will not have to explain why it is unthinkable in the 21st century a country, a global power that guarantees global peace to be aggressive, to annex territories and we will not have to explain why some forms, some mutations are inadmissible, absurd and that there is another way to live". This is a very important notion bearing in mind the division of the Bulgarian society which was especially clearly revealed and still is growing with scaring speed since June 2013 when thousands of Bulgarians went out to protest against the scandalous appointment of media mogul Delyan Peevski as head of one of the most powerful and non-transparent structures in Bulgaria - the State Agency for National Security (DANS). The protest has not succeeded to achieve its main goal - the resignation of the government - but it has created a core of active citizenship which was absent before that. Hristo Hristev underscored one more thing which could have significant impact on Bulgaria's development and which stems from the European membership - transparency of government. In his words, in the European institutional system really high levels of transparency have been achieved. Often, it is much easier to get access to Bulgarian national documents through the European institutions than following the steps established in the Bulgarian legislation, he said. The leader of the party of the Greens which organiser of tens of protests, activities and civil initiative in defence of Bulgarian nature, Borislav Sandov, also assessed the situation in the context of the big transition. "To us, Bulgaria is an integral part of Europe. Totalitarian regimes and other periods have led to us drifting away significantly from the understanding, from the culture, from the law in Europe", he said and added that it is high time to convene again the European convent because there are key issues that need to be discussed by a much broadly represented body. A part of these issues is related to the internal market and the free movement of people. Borislav Sandov believes, though, that Bulgaria cannot be and is not just a passive member of the EU. According to him, there is much to do to correct the flaws at EU level, too. One such flaw, he said, is the lack of a mechanism for conflict of interest at European institutional level. This became very clear when Bulgarian media revealed that a company of the wife of the leader of the Party of European Socialists, Monika Stanisheva, received a grant from the European Parliament. Although she cancelled the project and returned the money, this has not resolved the issue of conflict of interest at such a level. During the debate, the issue of the European elections was also touched. Dr Yulia Zaharieva called on the future Bulgarian MEPs instead of enriching the "over saturated mythology" about Bulgaria and the Balkans in general, to work for the enrichment of Europe's and Bulgaria's image. Dr Hristo Hristev, however, came up with recommendations not for the future MEPs but for the voters, saying that they should very carefully select whom they will vote for. This should not happen following the political colours pattern but on the basis of merits - who are the persons who have proved a clear position, a commitment to the citizens, a cause. People should read, pay attention, think and compare with the past - what the potential candidates have been doing up to this moment, he said. All the three participants were unanimous that the European Parliament should not turn into a vacation camp or a regard for long-serving politicians because this is the place where the head of the European Commission is voted, the European ombudsman is elected, the EU's foreign policy agreements are voted, the accession of new member states is approved. And euinside can add that this is the place which has radically changed the economic architecture of the EU because of the eurozone crisis. 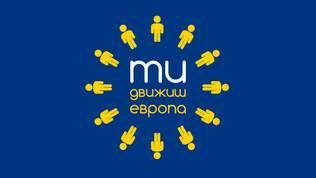 The next event in MoveBG's European agenda is on April 3rd at 1830 (CET) with a topic "What Bulgaria in what Europe?". The debate will take place in MoveBG's house and will be webcast live. The participants will be Vladimir Shopov, a political analyst, Vihar Georgiev, a professor of EU affairs in the Sofia University, Kuzman Iliev, a co-founder of Brain Workshop Institute and presenter of the Boom&Bust programme, Yavor Alexiev, economist with the Institute for Market Economy and Adelina Marini, founder of euinside. You, too, can get involved with questions either in the event [in Bulgarian language] on Facebook or by commenting under this article.